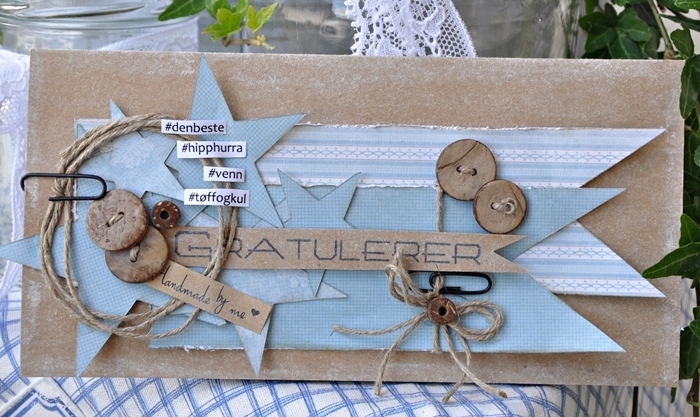 Today I have made a birthdaycard for a boy, and I think stars is perfect for boys. Mona V, this card is perfect for a boy! Nice and rugged with the perfect distressing. I love the papers you used, and yes, the stars add so much!